Screws For Plastics | High Stripping Torques | Reliable & Secure | ASP Ltd. Reliable direct screw joints into thermoplastics demand a deep understanding of thread forming processes and the behaviour of plastics under stress. 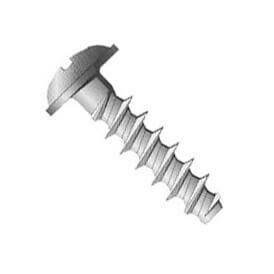 These screws for plastics are the product of just such technology designed by experts in screws and plastics creating many advantages for the user. By allowing reduction in boss size. The assembly forces acting normally on the inclined surface of the thread can be resolved into two components. The magnitude of each component depends on the angle of incline. The small thread angle of our screws for plastics decreases the radial component thus reducing expansion of the boss – allowing smaller pilot holes and smaller boss diameters. The increase in axial component creates more load carrying capacity, reducing the penetration depth/boss height, required for the same clamping load. By limiting disruption and relaxation. For constant axial force within the plastic assembly, stress will be inversely proportional to area of thread. The bigger the area of the thread the greater the reduction in the effects of relaxation. Core recesses allow additional areas of contact and improved material flow space, reducing compression of the thermoplastic from the shank and helping to create the greatest difference between maximum driving torque required and minimum stripping torque obtained. A wide margin of safety is then available for selection of required tightening torque ensuring a secure fastening with maximum long-term reliability. Because of its high stripping torques. Since screws for plastics are of a higher strength than thermoplastic materials, failure is normally due to shear of the female threads formed in the thermoplastic. For a strong assembly, the shear area should be as large as possible, and the pitch as wide as balanced design will allow. Due to high resistance to vibration. The resistance to loosening of a screw thread is due to effects of friction between the screw thread and the plastic. The friction will therefore depend upon the helix angle. High angles of helix particularly those attaching to twinthreaded screws for plastics, will reduce friction and compromise resistance to loosening, and should not be selected where vibration is involved in product use. Please contact us for in depth design information on material type, boss Ø, hole Ø, penetration depth etc.